This show will broadcast on January 19, 2015. 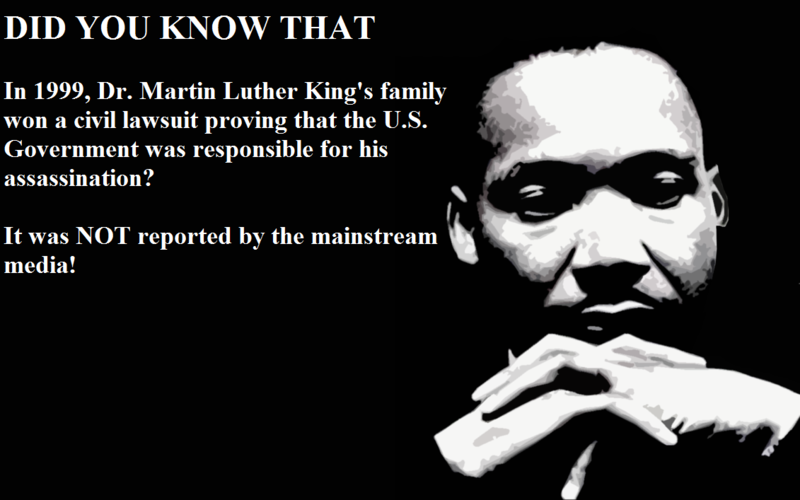 We interrupt this broadcast to remind you that everyone who observes MLK day, while ignoring the truth about who was behind the crime, is complicit in the murder of Dr. King and his memory. This MLK day, don’t murder Dr. King again! PLEASE, pass on the information below to everyone you know. Vic Sadot is a singer-songwriter based in Berkeley, CA who is known for his “9/11 Truth & Justice Songs” CD released on 9/11/11 featuring “Blowback or Bloody Treason” inspired by Michael C. Ruppert’s Crossing the Rubicon, the “Mad Cowboy Disease 2013” update video on Obama the drone bomber, and his 9/11 Truth hit on internet-only NoLiesRadio.org, “Cheney’s in the Bunker”. Vic is available for solo bookings & political protests in the San Francisco Bay Area. In addition to gmail, Vic is TruthTroubadour at Twitter, Blip TV, YouTube, and Blogspot. Vic Sadot is Vic Sadot on Facebook. This entry was posted on Sunday, January 18th, 2015 at 9:26 am	and is filed under 9/11, Censorship-Propaganda, False Flag/Fake Terror, Freedom, Justice, Kevin Barrett, Music, News, Protest, War Crimes. You can follow any responses to this entry through the RSS 2.0 feed.